Time control: 90 minutes for 40 moves followed by 30 minutes for the rest of the game and a 30 second increment as of move one. Prizes: 1st - US$5000, 2nd - US$3400, 3rd - US$2400, 20 prizes in all, not including prizes per category. Special: Event is considered a world championship qualifier thus all norms earned are worth double. Although the beaches of Mar del Plata may be on the empty side since it is not the high season, there is still a lot to be enjoyed. For one thing the gradually warming weather has made long walks on the shoreline extremely pleasant, and if you are a runner, you are served. 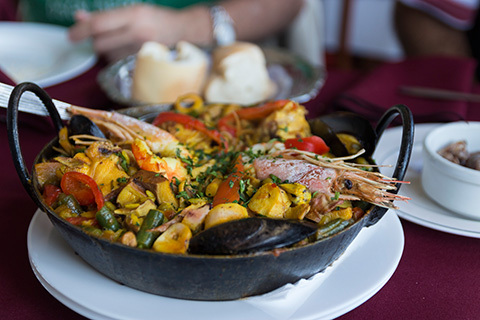 A few things do stand out on the city and Argentina: great seafood, especially in Mar del Plata, and great wines, and all very inexpensive. truly, FM Dirceu Viana, Pedro Paiva, and FM Ricardo Teixeira. Some friends and I went to the restaurant on the pier, a promise we had made early on, and it lived up to the promise. The food was certainly on the higher end of the local price range, which only means a large paella for three came out to the equivalent of US$25-30. The same is true of the very nice wines, and a bottle of nice Argentine red will typically go for $10 in a restaurant. Needless to say, despite the organizer having offered numerous complete packages, with full meals, many still enjoy select dinners out on the town. As to the tournament, a few notable things happened in the last couple of rounds. The first was the arrival of a leader at last. 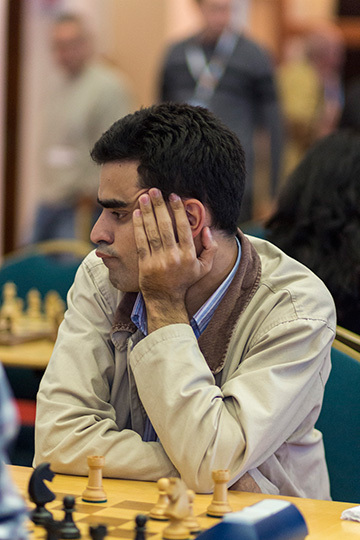 Granted there are still two rounds to go, and the pack following him is significant, but Venezuelan GM Eduardo Iturrizaga is the first to clear off the podium for himself. 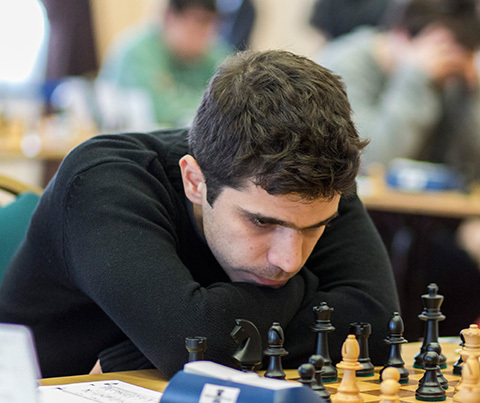 In a tough tournament where none have really been able to run away with it, not even top-seed Lazaro Bruzon, his powerful positional win over Brazilian GM Rafael Leitao in round nine was enough to set him apart at 7.5/9. tenseness of the moment by stealing a glance back at his game. 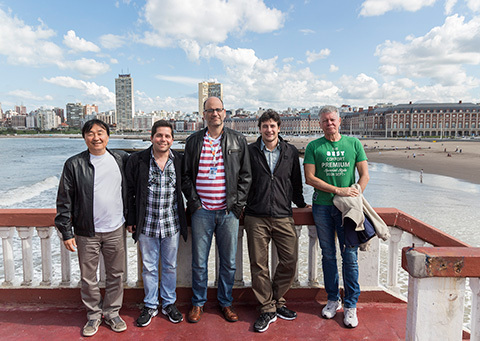 Trailing him are no fewer than six players, Cuban GM Ortiz, Bruzon, the unlikely hero Krikor Mekhitarian, Argentine GM Flores, and the two American GMs Kaidanov and Shabalov. All are clear contenders for one of the four spots into the world championship cycle, but so are those in the group with 6.5/9. 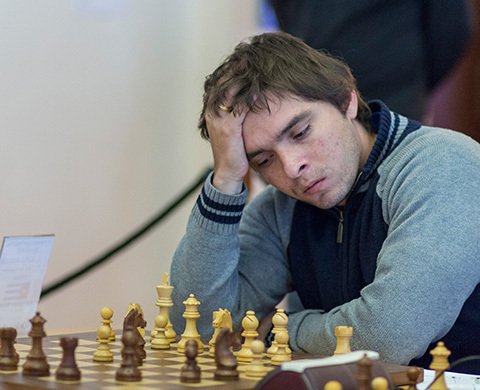 Still the American story belongs to neither Kaidanov nor Shablov, but the third, nearly accidental inclusion into the tournament: IM Robert Hungaski. 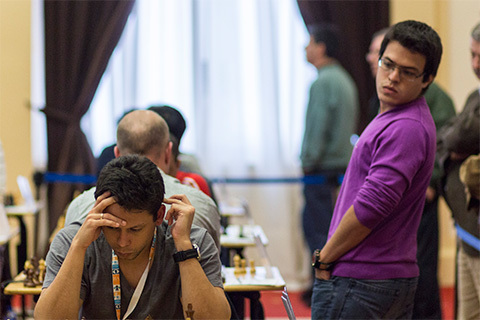 The US Federation had three spots to offer for the Continental, but the players weren’t exactly lining up for the honor. The reason is that they had to foot the travel expenses, which to distant Argentina meant a certain considerable investment on top of the time for an eleven-round event. Eventually the names were ticked off, and Hungaski’s name came up. It was an easy choice for someone already in Argentina, and he jumped at the chance. 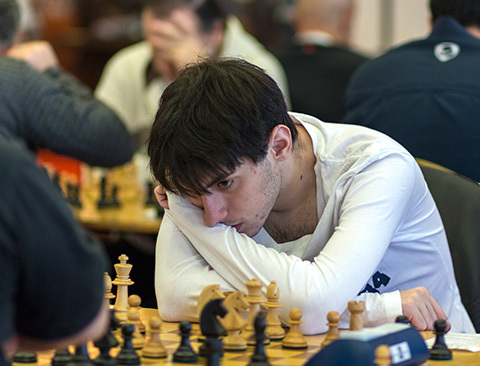 He could hardly have hoped for a better outcome since after nine rounds, he scored not one GM norm, but two. Why two? 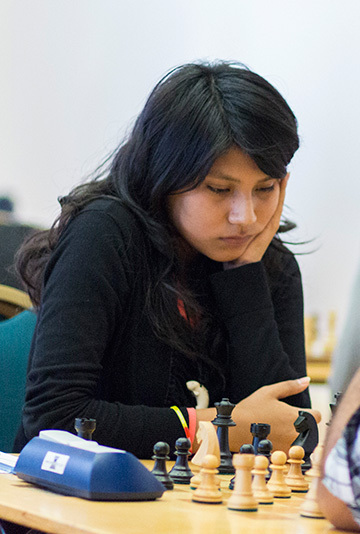 Because as a stage in the world championship cycle, all norms scored are counted as two. As a result, he only needs to fulfill the rating requirements to get the title. 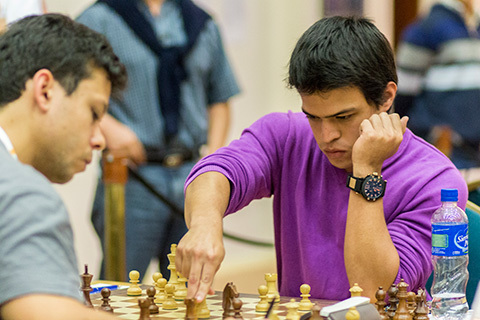 It would be remiss to overlook 17-year-old Martin Martinez from Colombia (2368) who also scored a double IM norm. The top boards can be followed on Playchess live.